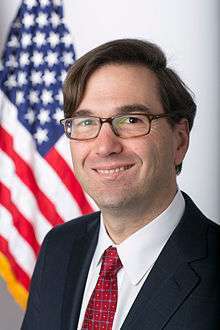 Jason Furman (born August 18, 1970) is an economist. 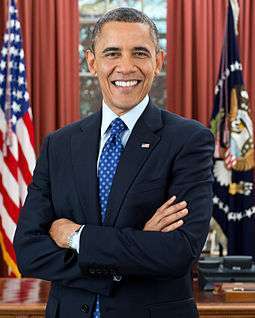 On June 10, 2013, Furman was named by President Barack Obama as chairman of the Council of Economic Advisers (CEA). Previously, since January 28, 2009, Furman had served as the Deputy Director of the National Economic Council, which followed his role as an advisor to candidate Obama during the 2008 presidential campaign. Initially, Furman's appointment as a campaign adviser had been criticized by some labor activists. Raised in New York City, Furman is the son of Jay Furman, a real-estate and shopping mall developer who donated more than $20 million to NYU  and serves on its board of trustees. His mother, Gail Furman, a child psychologist, heads the family's Furman Foundation, Inc, which funds mostly left-leaning nonprofit groups. His brother Jesse Furman is a judge of the U.S. District Court for the Southern District of New York. Furman graduated from the Dalton School in 1988. In 1992, he graduated with a B.A. in social studies from Harvard, where his freshman year roommate was Matt Damon. He then received an M.Sc. from the London School of Economics. Furman returned to Harvard, where he received an M.A. in government in 1995 and a Ph.D. in economics in 2003. His Ph.D. thesis advisor was N. Gregory Mankiw, who had once also served as chairman of the CEA, during the administration of George W. Bush. In 1996, while he was a graduate student at Harvard Department of Economics, Furman was hired by economist Joseph Stiglitz to serve a one-year stint as Special Assistant to the President for Economic Policy in the Clinton Administration and on staff of the Council of Economic Advisers. He later worked with Stiglitz at the World Bank. Furman was involved to varying degrees with the Presidential campaigns of Al Gore and Wesley Clark, along with his wife, Eve Gerber, who also contributed as a speechwriter for Clark. In 2004, he took a position as Director of Economic Policy for the 2004 Kerry presidential campaign. In recent years, Furman worked as a budget expert at the Brookings Institution. There, he worked with former Clinton Treasury Secretary Robert Rubin and directed the Hamilton Project, an economic policy research group that develops policy proposals to achieve shared economic growth. He was a Visiting Scholar at New York University's Wagner Graduate School of Public Service. He has been a visiting lecturer at Columbia and Yale Universities. Furman's research and policy focus includes the subjects of taxes, health care, and the U.S. Social Security program. Furman's qualified defense of Wal-Mart's business model provoked criticism from some labor organizations when he joined the 2008 Obama presidential campaign. He and his wife Eve live in Washington, D.C., with their two children, Henry and Louisa. The family also maintains an apartment in Greenwich Village. ↑ The White House. "Remarks by the President Nominating Jason Furman as Chairman of the Council of Economic Advisers." June 10, 2013. ↑ Barrett, Ruth Shalit. "New Brainiac: Jason Furman". New York Magazine. New York Media LLC. Retrieved 1 July 2013. ↑ Boak, Josh. "10 Things You Don't Know About Obama's New Econ Guru Read". The Fiscal Times. The Fiscal Times. Retrieved 2 July 2013. ↑ Jason Furman NYU Wagner Archived June 10, 2008, at the Wayback Machine. "Jason Furman collected news and commentary". The New York Times.